There was a little boy known to those around him as the "terrible monster," psychotherapist Christina Sung Aie Choi said of an 8-year-old she worked with at Boystown in Seoul, South Korea. 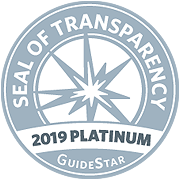 As with many of the orphans – there were about 800 children at each site – HeartMath tools helped the boy achieve marked improvement. "After learning how to ‘play’ with HeartMath’s emWave® Pro games and the handheld emWave2®, he could calm down by himself," Choi said. "Now he loves to read, respects others, expresses his needs in words, instead of aggressive actions, and his grades have been steadily improving." 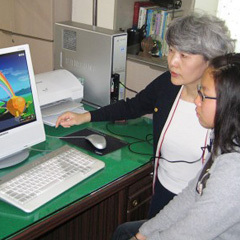 Choi, the founder and director of the HD Family Therapy Center in Seoul, said various children at the orphanages, which were run by the Sisters of Mary order, had used HeartMath’s Coherence Coach, heart breathing, heart focus, heart feeling, Attitude Breathing® and emWave Pro games. The majority of the children were well adjusted, happy and healthy, Choi said, but not surprisingly, there were a number in need of a caring hand. "The children and teenagers I have been referred by the sisters show symptoms of depression, anxiety, aggression, withdrawals, sleep disturbance, eating disorder, phobia, ADHD, PTSD, etc.," she said. 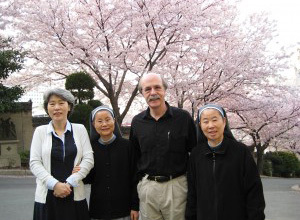 "I noticed that many … have some sort of trauma such as abandonment, neglect, physical, emotional and/or sexual abuses before they were admitted to the orphanage. And the majority of them have separation anxiety, attachment anxiety, low self-esteem, low academic achievement and lack of direction." HeartMath made a significant difference in the lives of children who used its technology and methods, Choi said. "HeartMath technology and methods are the perfect solution to reach balance and harmony of mind and body, almost divine devices to reach out to many people’s hearts to make their lives healthier, happier and more meaningful," she said, noting that she found that HeartMath techniques had no side effects and were effective, quick and very cost-effective. 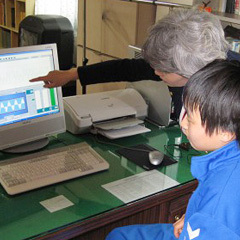 She emphasized that there were many other examples of orphans whose lives improved after using emWave. "I had a 16-year-old girl (a ninth-grader), who was depressed, did not care to wash herself, hated to go to school, frequently had conflicts with other girls, swore and ran away from the orphanage two times," Choi recalled. "After learning how to use the emWave2 (handheld), her tone of voice became softened, her facial and verbal expressions became clearer. She even wrote me thank-you cards, reduced her frequent frictions with other girls and teachers and participated more in after-school activities such as soccer and dance. Now she is a happy, engaging, expressive and busy normal teenage girl." Describing what she believes the emWave technology did for the children, Choi said, "The best part of the effect of the emWave, in my opinion, is that the children and teenagers themselves can learn how to soothe themselves, and once they see and believe that they can ‘do it,’ the self-management skills become their own life skill for the rest of their lives."